BATH – Jack Weller, a Ferris State University golfer from Swartz Creek, caught fire on his final nine holes, closed with four consecutive birdies in a 5-under 67 and earned medalist honors in the stroke play portion of the 105th Michigan Amateur Championship presented by Carl’s Golfland at Eagle Eye Golf Club Wednesday. That will make Weller the No. 1 seed in a 7:30 a.m. Thursday match for the bracket of 64 golfers who will compete head-to-head for the state championship through Saturday. Weller, 19, last summer’s Flint City Amateur, part of a state champion high school team at Swartz Creek and a Flint Junior Golf Association member starting at age 6, posted a 5-under 139 for the two rounds of stroke play. 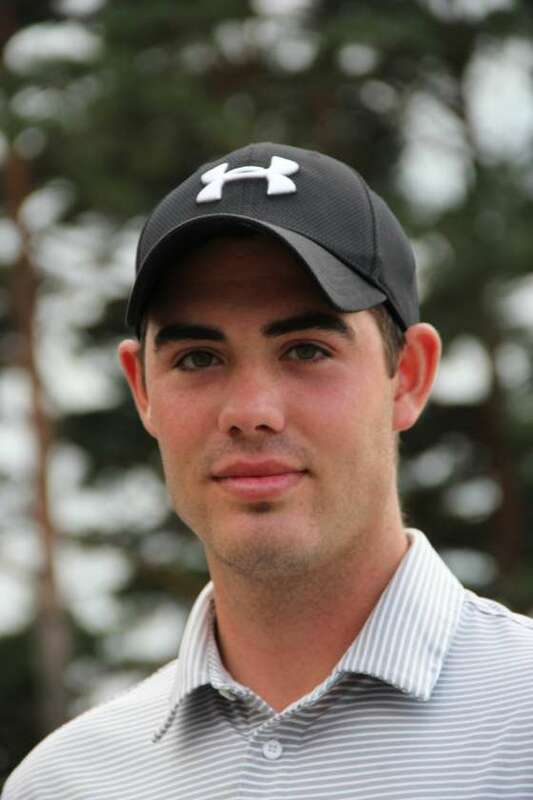 He won by one shot over 51-year-old assets manager Ken Hudson of Bloomfield Hills, who shot 72 for 140, and Bay City native and 22-year-old Cleary University golfer Devin Young, who shot 70 for 140. Andrew Chapman of Traverse City, the 2013 champion who shot 71, Nathan Clark of Charlotte, who shot 72, Austin Eccleton of Jackson, who shot 73, and Nick Gunthorpe of Ovid, who shot 71, all finished at 141. Nine golfers tied at 152 played off for the final two spots in the field. Taking spot 63 was Joe Hooks of Commerce Township, and spot 64 went to Michael Cooper, a Davenport University golfer from Rockford, who will meet Weller in the first match. Weller, who finished second in a recent NCAA regional and is a sports marketing and business major heading toward his junior year at Ferris, said he enters every tournament trying to win. “It definitely feels good to be medalist,” he said after accepting the Chuck Kocsis Trophy that goes to the qualifying medalist. Hudson, a quarterfinalist two years ago, was disappointed not to be medalist. Young, who went to Bay City Western High School and currently lives in Howell near school, is coming off a season in which his Cleary team won the United States Collegiate Golf Association national title, and he was the individual national champion and a USCG All-American for the second consecutive year. As usual the playoff for the final spots added some late drama. Cooper, Hooks and Steve Nichols of Lansing each made birdies on the first sudden-death hole (No. 18), matched pars on the second playoff hole (No. 9) and Hooks and Nichols settled things with pars on the third playoff hole (No. 18). The 64-golfer bracket can be found at www.gam.org with match starting times. The round of 64 and 32 will be played Thursday to determine the prestigious Sweet 16.